← Handicapped? Yes. Unarmed? Never. Take an AK, add a TWS top cover with replacement open sights (or a peep sight), add an Aimpoint Micro (or a clone) without a base. Secure with four screws. Done! The machine top cover is sprung to stay firmly in place, and relieved to seat the optic very low to the receiver. As you can see, it’s possible to have a good cheek weld even with the underfolder stock. This entry was posted in rifle and tagged 7.62x39, AK47, optics. Bookmark the permalink. Good to see he wrapped paracord on that razor. I hated my old underfolder’s cheek weld. Even my current Romanian wire sidefolder is preferable to the former. 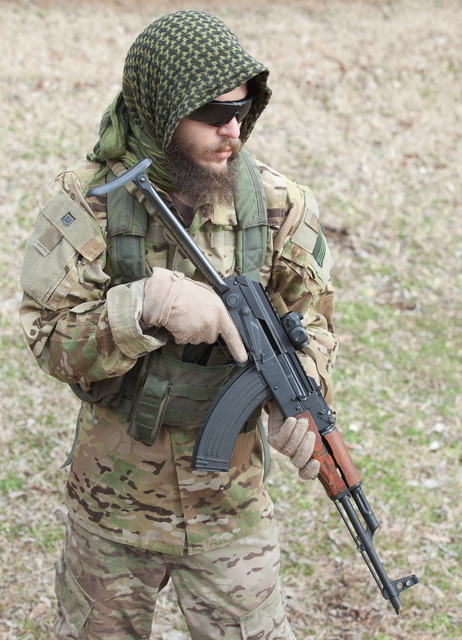 I’m glad to see a good variety of AK receiver cover rails finally arriving on the market. 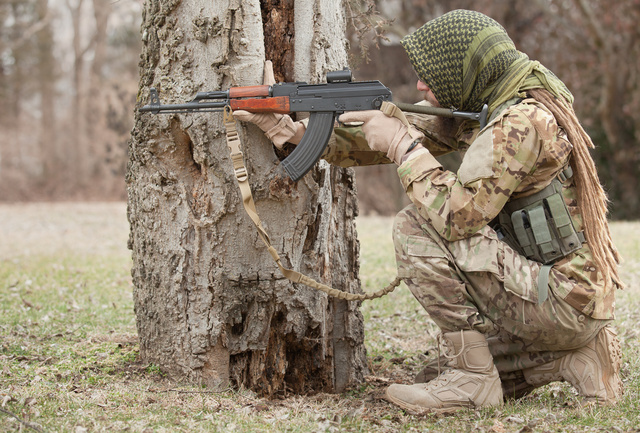 I just wish they’d make a side mount that actually sat low for AKs with the left-side scope rails. 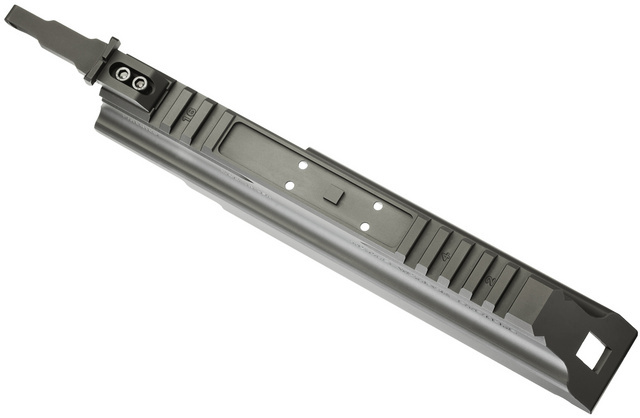 Try the Midwest Industries side mount, it puts the rail flat on top the reciever cover (no gap like the Arsenal model). I like it better than the TWS rail cover since you retain the original iron sights (a Kreb’s ghost ring rear sight works really well), and it’s quick release so you can dump the whole package if the optics fail. I don’t like the TWS cover because you lose the original (adjustable) rear sight, forcing you to buy their (non-adjustable) peep sight. The C-clip doesn’t appear to be essential to the design. I agree about the non-adjustable peep sight, even though I have one on my Vepr. A range-adjustable version is in the works, similar to FN49 design. I still like the Ultimak setup, been using those for years to co-witness with Aimpoints. Guess is what you are used to. 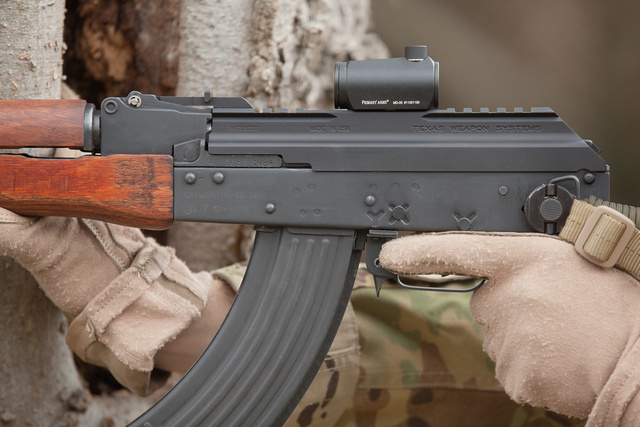 There is one advantage to the Ultimak setup: If your AK is delivered with a front sight that is not perfectly true but slanted to one side (which happens even on rather expensive Arsenal pieces), you can still use the modern rear sight with vertical adjustment. 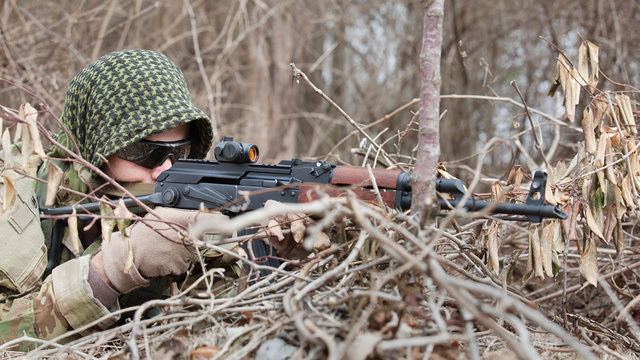 With the TWS system, which replaces the rear sight, you have to rely on the small adjustment range of the front sight. When I was a kid growing up (or maybe just older) during the Reagan era, if somebody told me that one day I’d see an AK-47 with the words “Texas Weapon System” on it, I would have thought they were crazy.